The Italian cooking class is over, but that doesn’t mean that me and the Latte Mum can not meet up on Monday nights for cooking. Finding a recipe isn’t that hard, I just googled chicken+easy+recipe, and this was the result. First a bit of a strange combination one can think, but the end result was pretty decent. 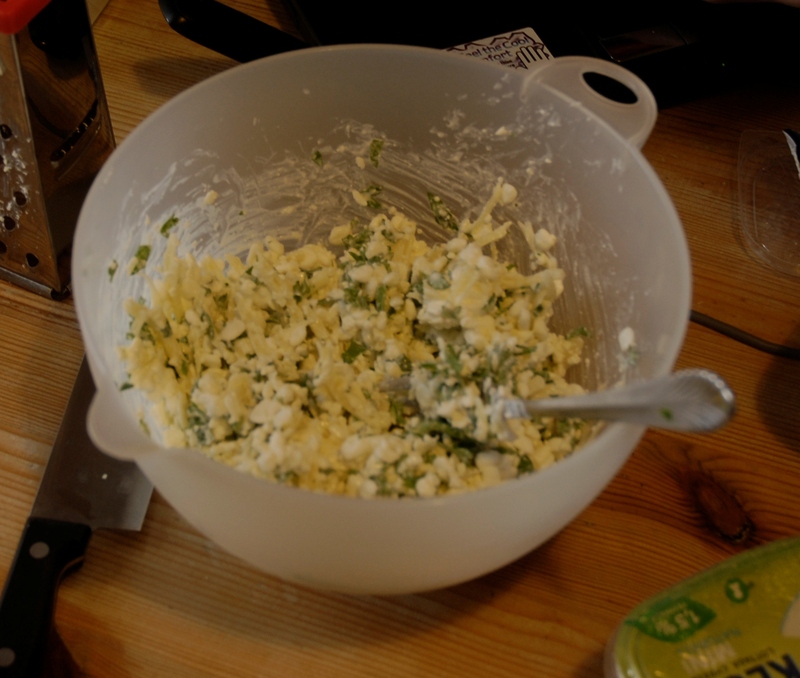 We started with mixing cottage cheese, grated cheese, basil and parsley. 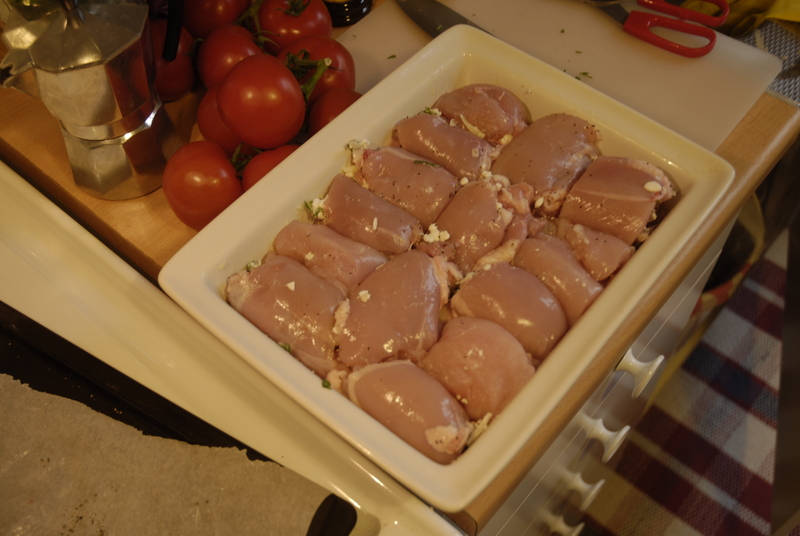 Then you take that fascinating mix and wrap the chicken around it. 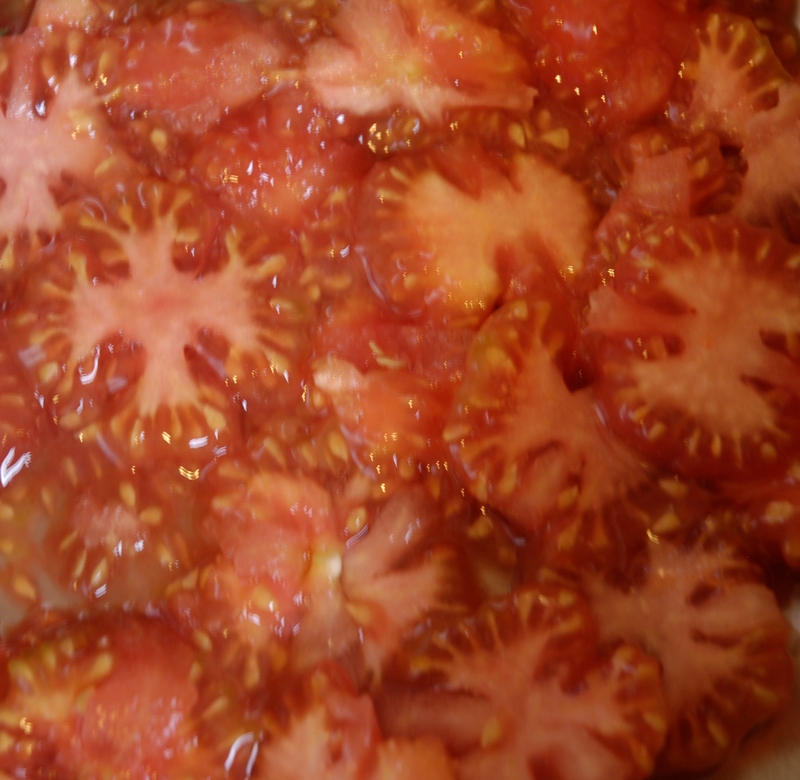 Chop up loads of tomatoes, but remove all the insides, feels like a waste of tomatoes but at then end we do understand why. If we had left it in it would’ve been chicken soup rather than just chicken. 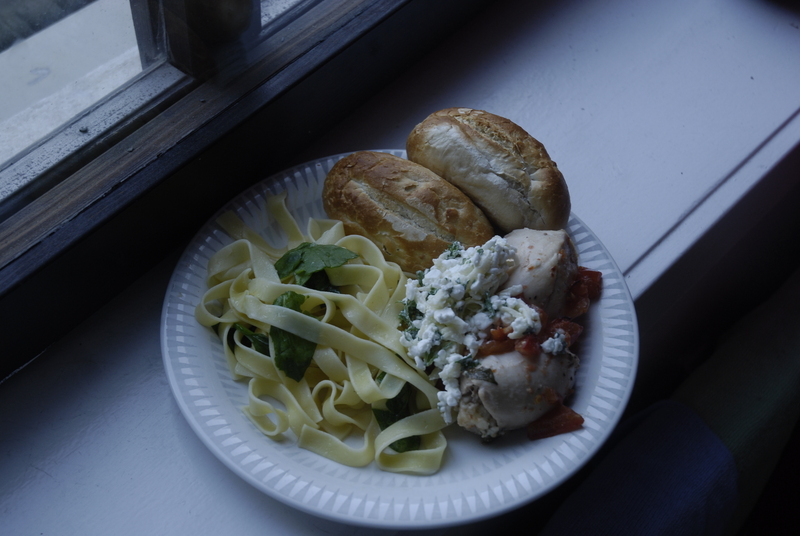 Together with some pasta and fresh spinach as well as some garlic bread, you get a very yummy and easy chicken dish. If you exclude the time warp somewhere in the beginning of cooking, it didn’t take that long. Finishing the dinner of with yet another cappuccino and some homemade cookies that I baked earlier today. Awesome. After an Easter weekend in the summer house and then a week at home with the parents, it is nice to be back home (here I want to take a moment to point out that I do love my family and enjoy spending time with them) and sleep in my own bed and all that. And it was a pretty cool trip home, I got to travel on a double-decker train for the first time in my life, and I go to sit up-stairs. Pretty cool. to use them) which was kind of silly, since I went away for almost ten days. I really thought that I would come home do death but instead things are growing. For all you Swedes, you know that the 30th of April is a big day here in Sweden, where we celebrate that the winter is over and spring is about to start (read: another reason to drink loads of alcohol and get drunk). Me and my favourite Latte Mum and her sweet little family took a walk around the green surroundings last night before returning home enjoying some food and nice Belgian beer. 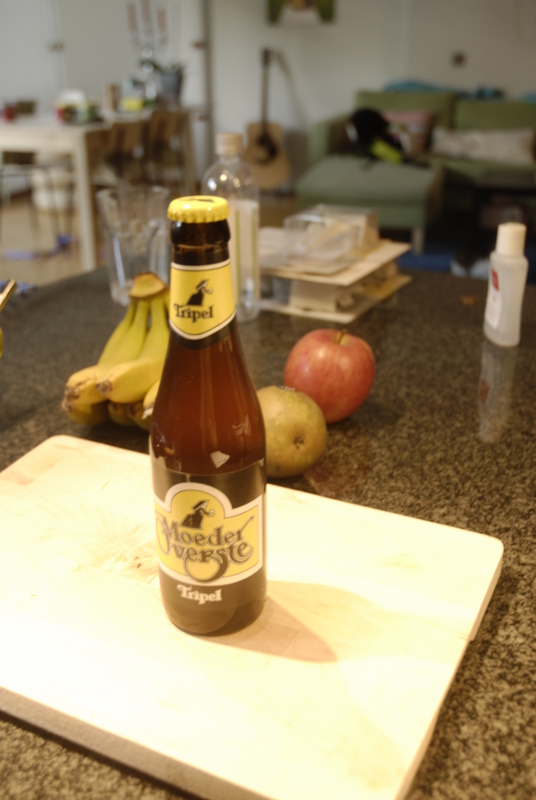 Of all the different types we tried, one caught my eye rather than my taste buds, for the only reason that at first glance the label looked exactly like the Netto store sign, but of course it is not a Netto beer. Now I will enjoy my first home-made cappuccino for a long time, before it is time to attack the tasks at hand. And enjoy the sun for a bit. 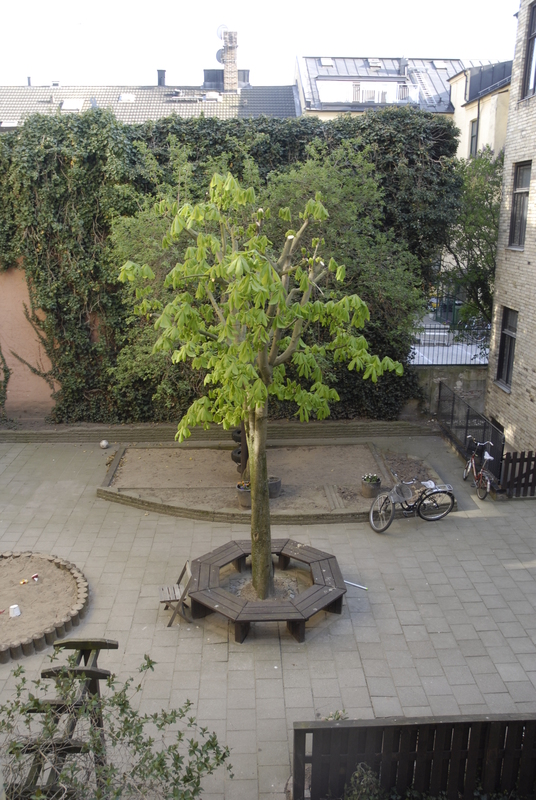 I had to take a picture of my tree the last day of April, the last day of non-spring. Today it is spring, it is may and the three is getting more and more pretty. It is green now.